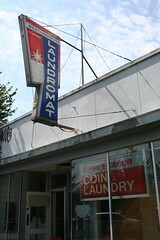 Old laundromat on Beacon Avenue, tagged with graffiti. Photo by Laura Hadden -- thanks! Recently we asked you “what are some things you’d like to improve on Beacon Hill?” The ensuing discussion was lively, to say the least. 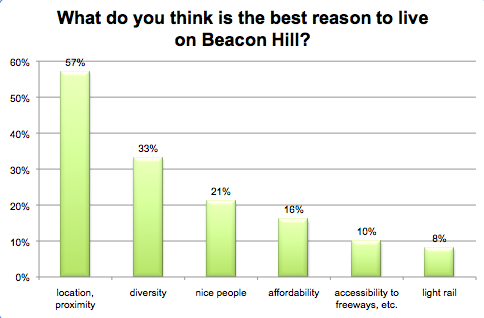 In comparison to the recent discussion about things we love about Beacon Hill, the answers to this one were more diverse. The answers could be broken down into two broad categories: Stuff We Want, and Stuff That Needs to Improve. 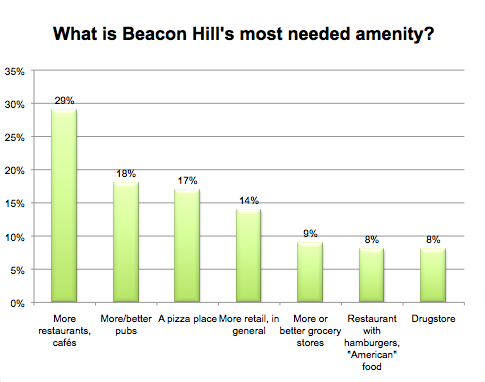 What are some things you’d like to improve on Beacon Hill? 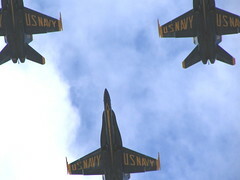 Our position directly under the Blue Angels' flight path during Seafair is one of those things that some people love about Beacon Hill, and others would probably prefer to change. Photo by Wendi from the Beacon Hill Blog photo pool on Flickr. A while ago we asked you “what are five things you love about Beacon Hill?” There were a lot of great answers describing the wonderful things to be found on the Hill. But now it’s time to go the other direction. 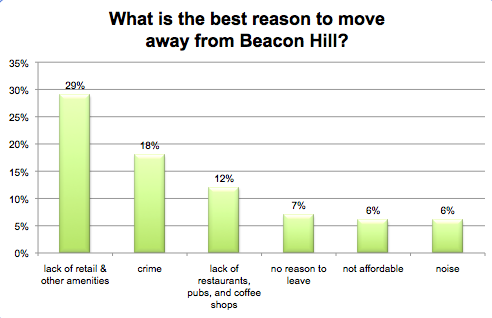 What are some things you wish could be improved on Beacon Hill? Speaking of pizza, Pagliacci is one company that will not deliver to us or open a store in Southeast Seattle; our delivery options are fairly limited, compared to other neighborhoods. I love our local coffee shops, but wish they’d stay open a bit later; there’s no real gathering place for people in the evenings other than the few bars. I would like to see the Hill be a bit more self-contained, so we can avoid driving our cars more, though the light rail will help quite a bit. There used to be a drugstore up here, and a movie theater. Wouldn’t it be great to have those again? How about a book shop or newsstand? I really, really want to see a regularly-scheduled street market up here on the hill. Not even necessarily a Farmer’s Market, though that would be wonderful, of course — but one that has things besides food. Art and crafts, maybe? Or collectibles? Why not give people from outside the area a reason to come up to Beacon Hill once the train is running? Maybe then they will spend money elsewhere on the Hill, too.